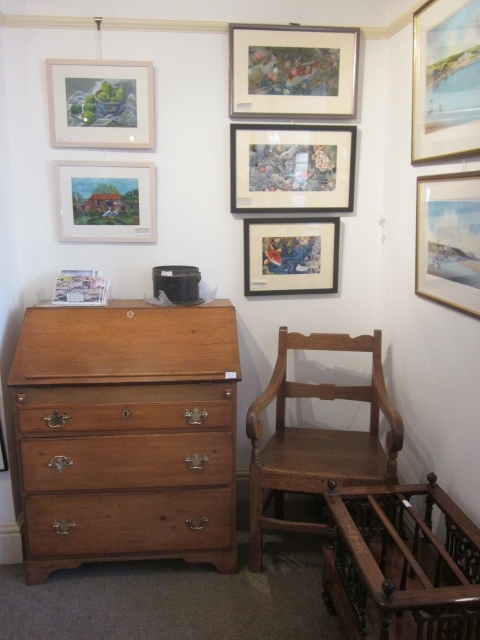 Country furniture, especially Welsh and Irish, oil lamps, vintage tools, enamel signs and an eclectic range of items. We attend the auctions at Crewe, Stoneleigh and Pershore. We can deliver items to you there or bring them for you to examine more closely. Use the arrows on the image (Bottom right) to leaf through selections from our current stock. More to come soon! If you are interested in any of the items please contact us. We are happy to give you more details, photos etc. Most pieces can be sent or delivered. In our shop, October '15.